Our canvas prints come stretched over stretcher bars and treated. All you need to do is hang them on the wall. As an option, some people like to frame their canvas. Framing is optional and completely a case of personal taste. I can print up to 44" wide. Our photo paper and canvas is printed off the roll. I can print varying lengths and widths as requested. Do you have a digital picture you would like enlarged? I can print your picture on photo paper or canvas. I treat all canvases with a protective coating that protects against UV rays, stains and helps protect against ink chipping if the print is bumped. Click here to find specific pricing details. 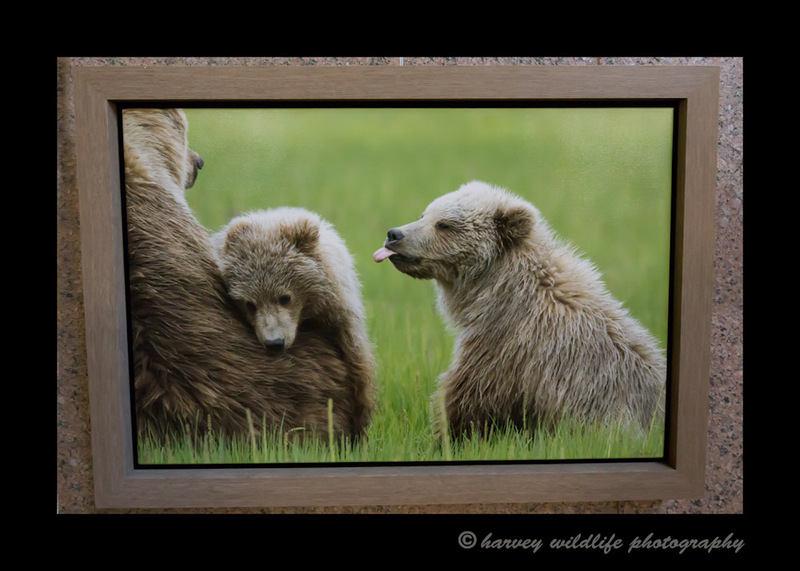 Harvey Wildlife Photography Greeting cards are sold online starting in packages of ten. Singles are only purchased at our retail locations.. If you represent a zoo or business that requires custom designed greeting cards, call us for a quote. Click here for samples of what our regular greeting cards look like.